This tutorial requires existing Nagios server to be up and running and root privileges for Nagios server and remote Linux host. Please follow this blog for its setup. Most of the system administrators write custom shell scripts to do basic monitoring and sends email in case services crosses defined thresholds, but those scripts can’t provide complete insights of the host being monitored. To achieve this you will need to deploy a robust monitoring system that can provide features like Comprehensive Monitoring, Notification System, Reporting, Escalations, Event Handlers for Automation. I am writing this blog for continuing adding remote Linux hosts for monitoring in the Nagios server using NRPE daemon. This blog doesn’t include monitoring for Windows host or Network devices. 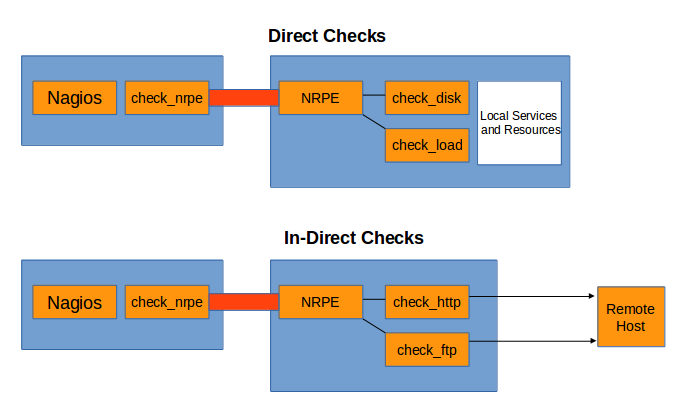 NRPE is a Nagios Remote Plugin Executor, it is used for monitoring remote Linux host services like CPU Load, Current Users, Disk Utilization, Swap Utilization, Memory Utilization. For monitoring, remote hosts, we need to install NRPE agent and update ‘/etc/nagios/nrpe.cfg’ file to allow access to Nagios server on port 5666. 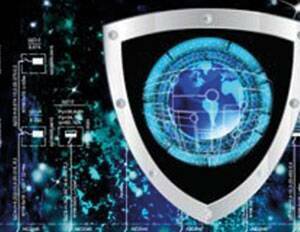 By default communication between Nagios server and NRPE agent is secure and uses the SSL tunnel for communication. As mentioned above, install nagios-nrpe-plugin on Nagios server, it will install nrpe command on the Nagios server. In order to allow access to Nagios server, add a Nagios server IP to the allowed host (line no 81) in nrpe.cfg located in /etc/nagios/nrpe.cfg. After making changes, restart nagios-nrpe-server on remote Linux host to update changes. By default nrpe.cfg configurations check disk using check_hda1. In my case drive name is /dev/sda1. So copy and paste above line and update command with the correct drive name(in my case /dev/sda1) and comment out the old line. Note: In the above command arguments w is for warning, c is for critical and p is for partition, we will get warning alert if free space left reaches 20% and critical alert if it reaches 10%. After making all the changes, restart Nagios service to make the changes effective. We can monitor www.google.com URL directly from the Nagios server using check_http, but in order to demonstrate nrpe indirect check I will be monitoring URL from another Linux host as shown below. For this we will update nrpe.cfg on remote Linux host and add new command check_http_indirect. After checking manually, add indirect check configuration to the demo.cfg and restart Nagios3 daemon to update changes. So this is how you can create multiple checks. In coming posts I will demonstrate how to enable custom checks using Nagios NRPE.